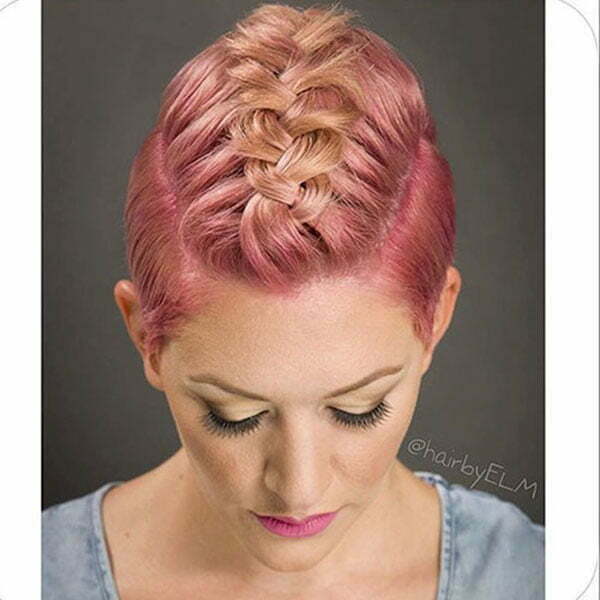 Braided hairstyles give women an elegant, beautiful, stylish and very chic look. 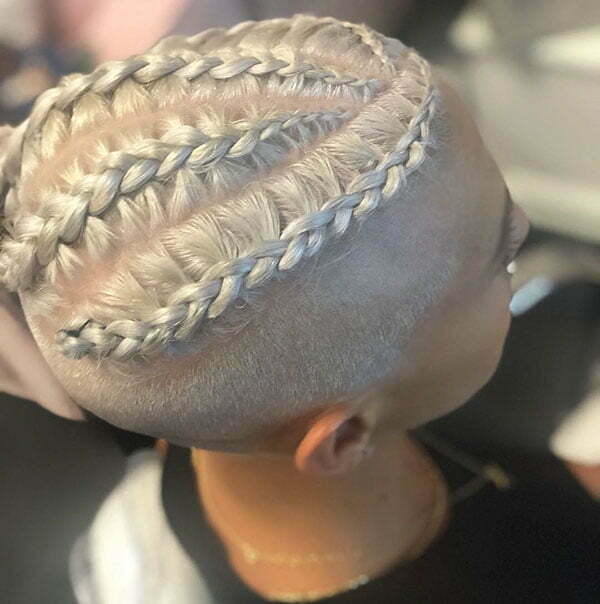 Some women are afraid of going short as they think that they have to refuse their beautiful braids. 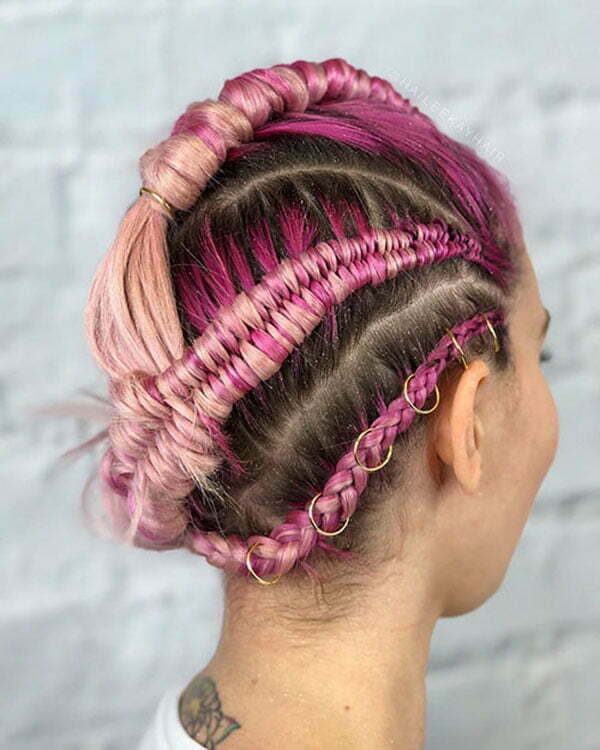 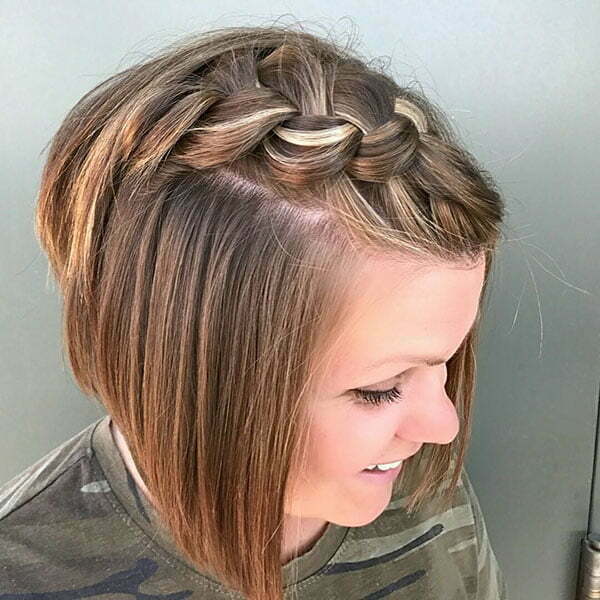 Today we have collected Pretty Braids for Short Hair which will prove you that short hair can also be braided and look stunning. 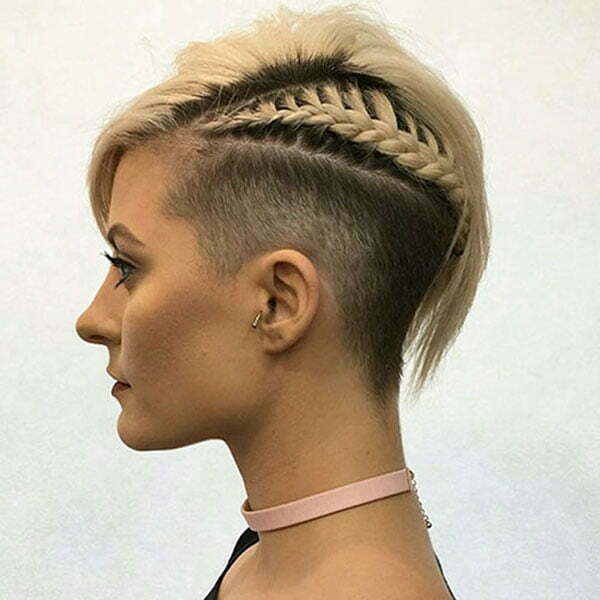 Short braided hairstyles have become the trend for this year and they are going to be popular for a long time. 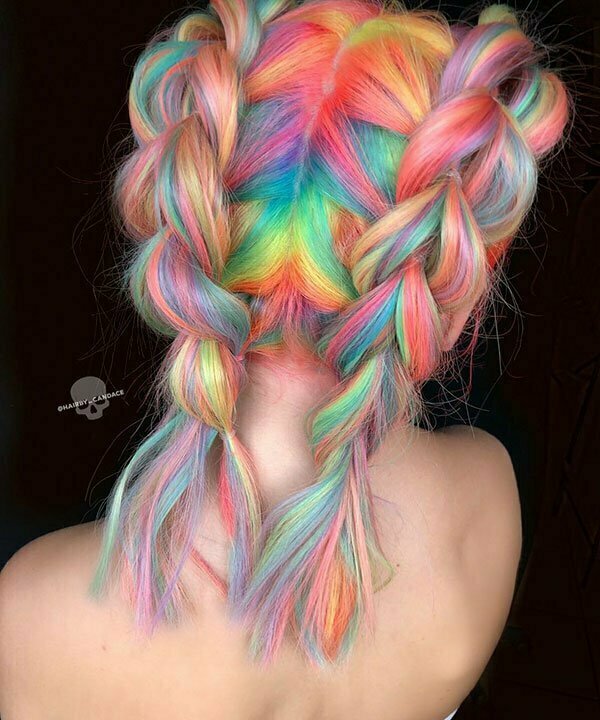 They make a girl look so feminine and beautiful that nobody can be indifferent. 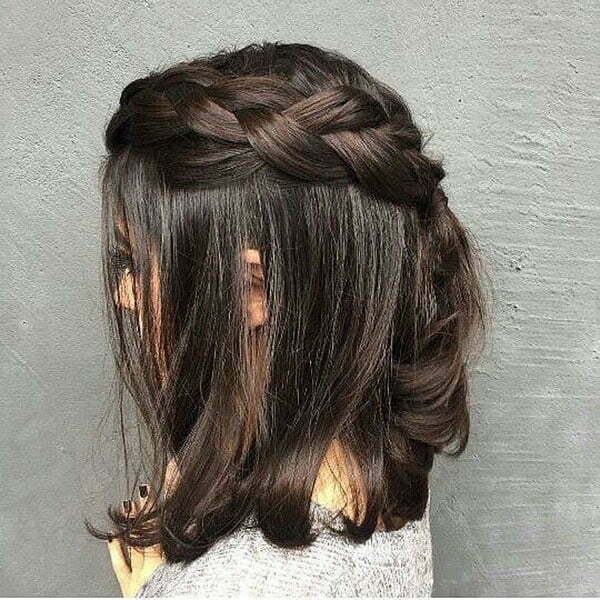 Just check out our hairstyles below and you will also call your hairdresser immediately to try one of these elegant short braided hairstyles. 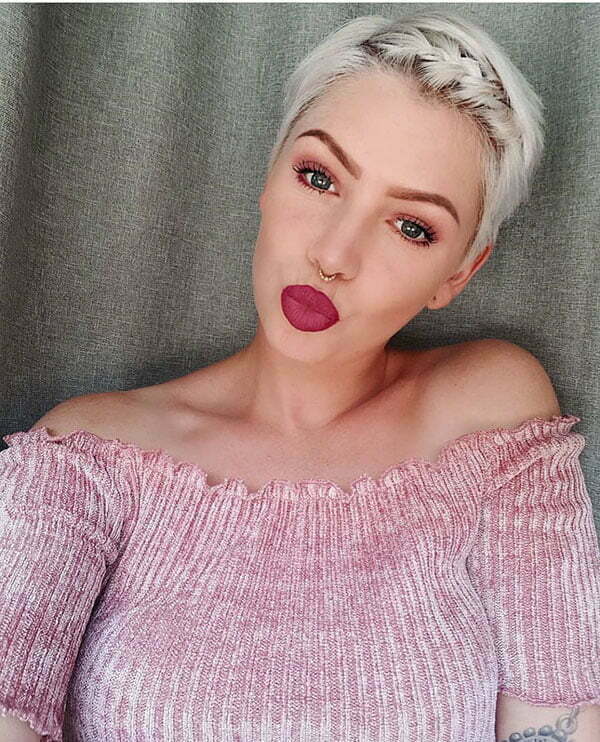 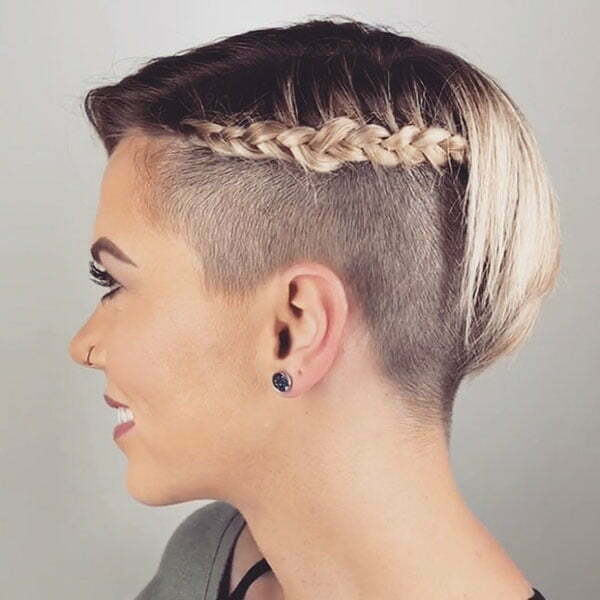 Brades look great at every length, but braided short hairstyles look much more beautiful. 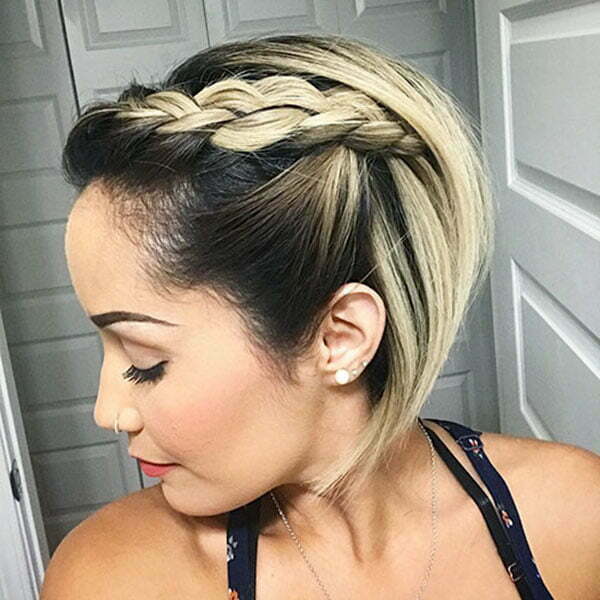 If you have bob hair then you can add a braid on one side and have a great look. 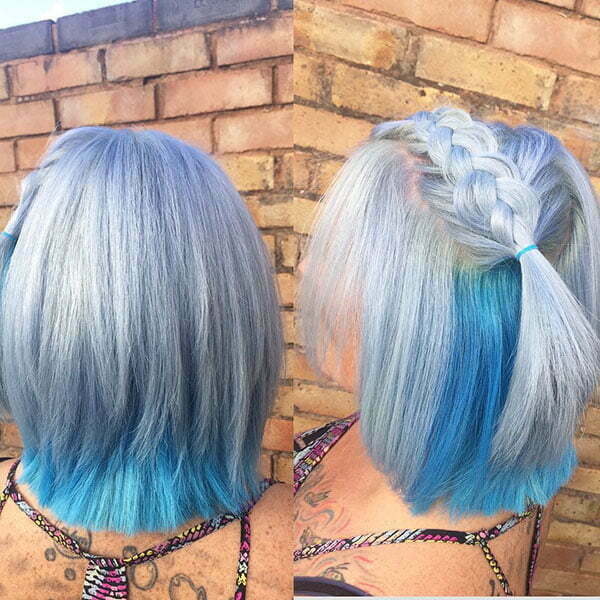 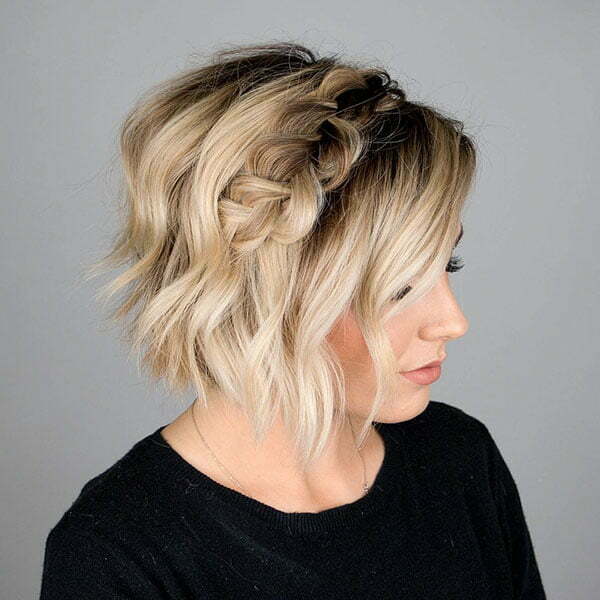 You can make your bob a little bit wavy and it will just look so great with the added braid. 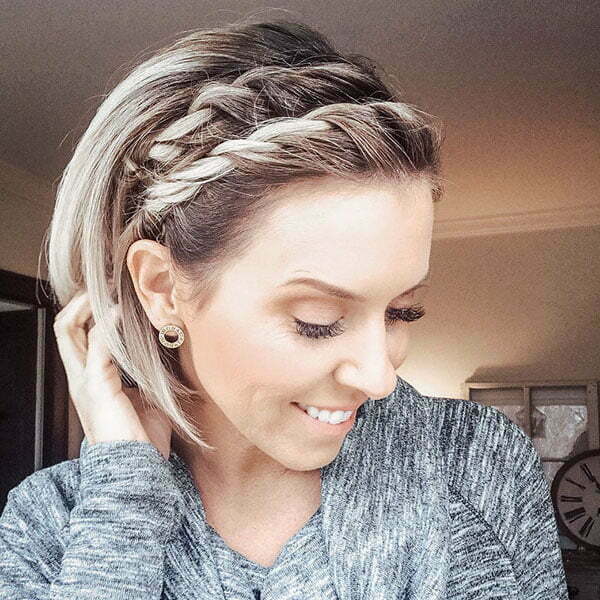 Messy braids are stylish as well and you can amp up your short low ponytail with messy braids. 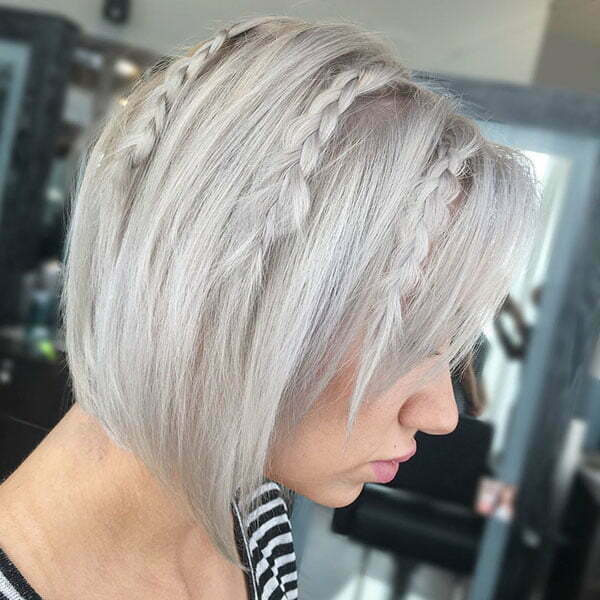 This can give you a playful style as well as add some texture. 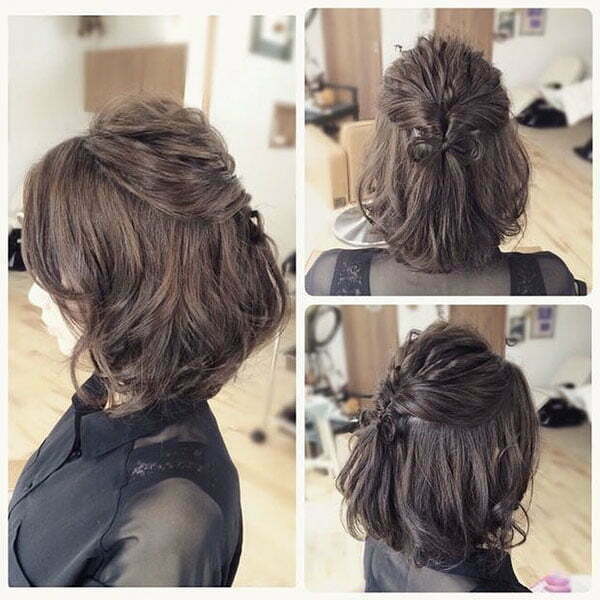 When you try this hairstyle you can also hold the shorter front layers back. 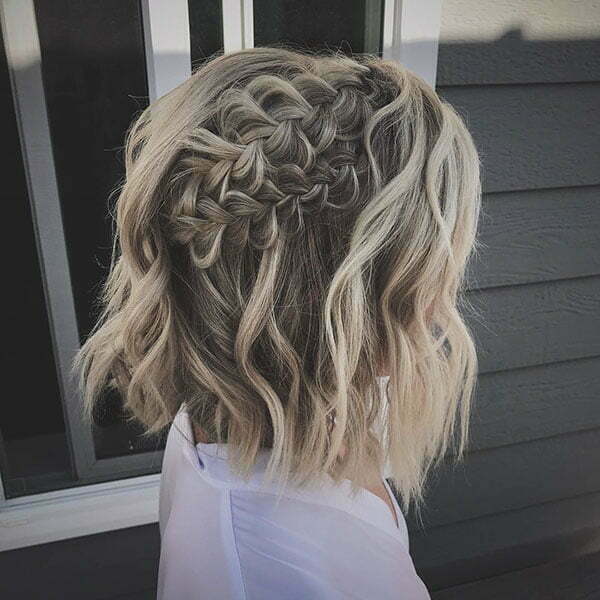 If you have a little bit long pixie hair then you can make it more modern if you opt for braids. 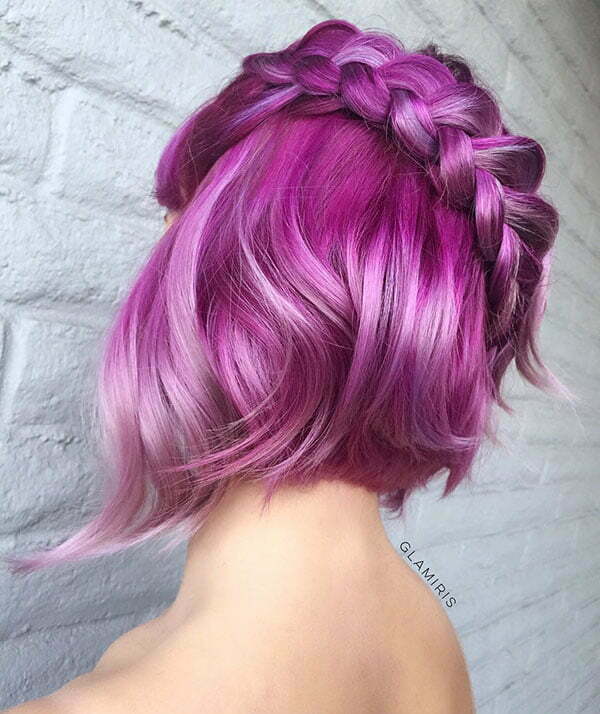 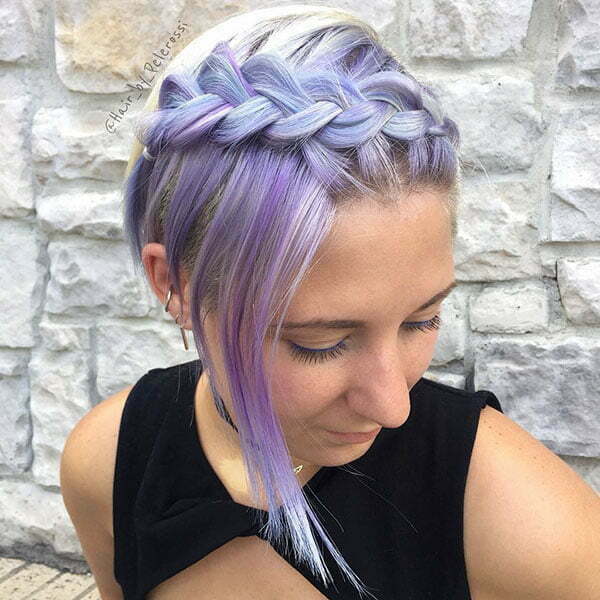 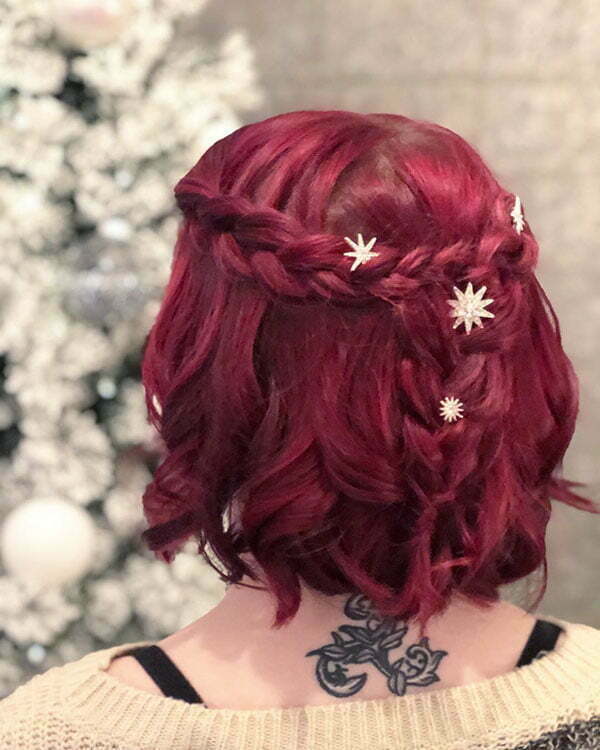 Believe it or not, pixie hairstyles can also be braided. 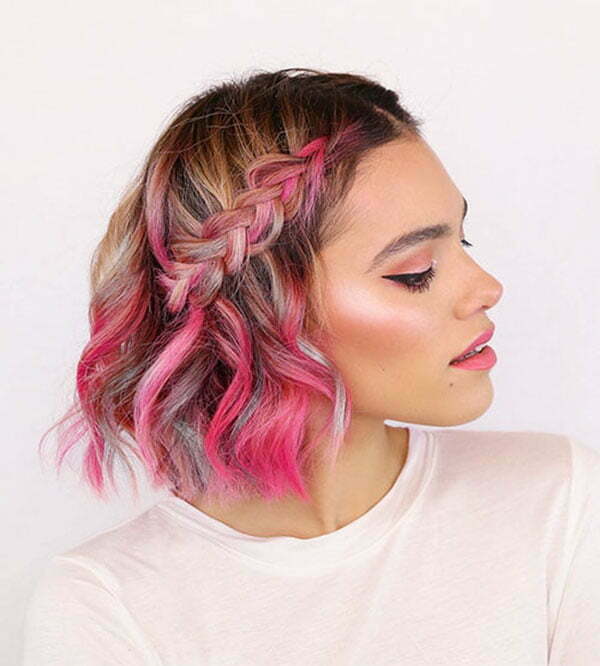 Just amp up your everyday pixie look by adding some braids in front and this will also keep your hair out of your face. 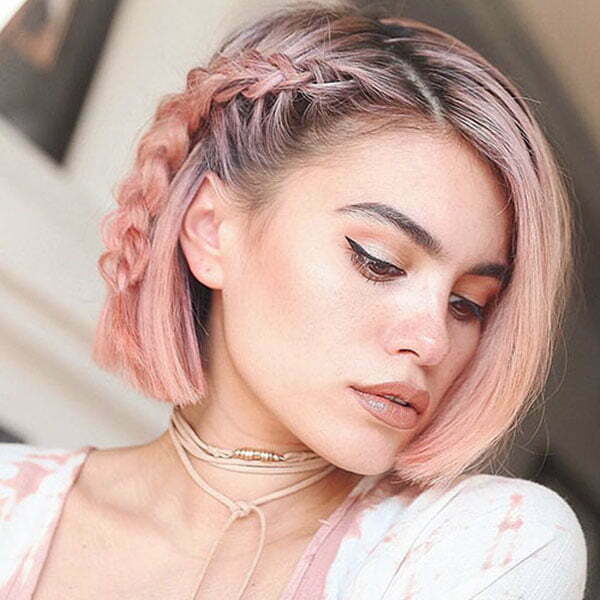 All girls who want to have a girlish look can try half-up braids. 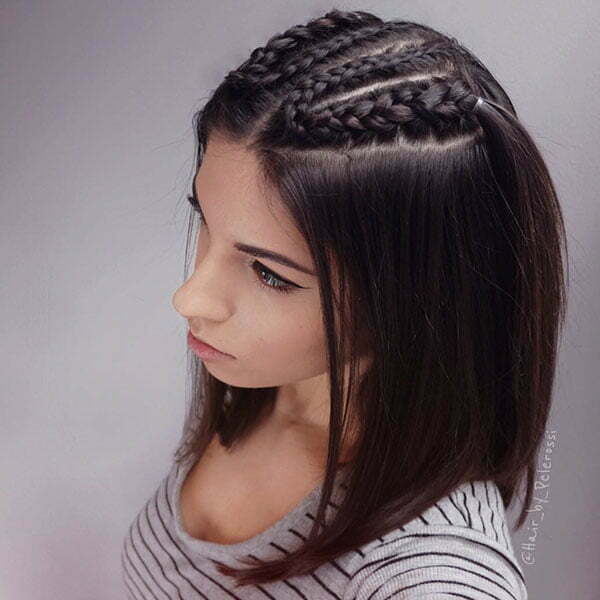 This braided look is sure to add some freshness to your overall look. 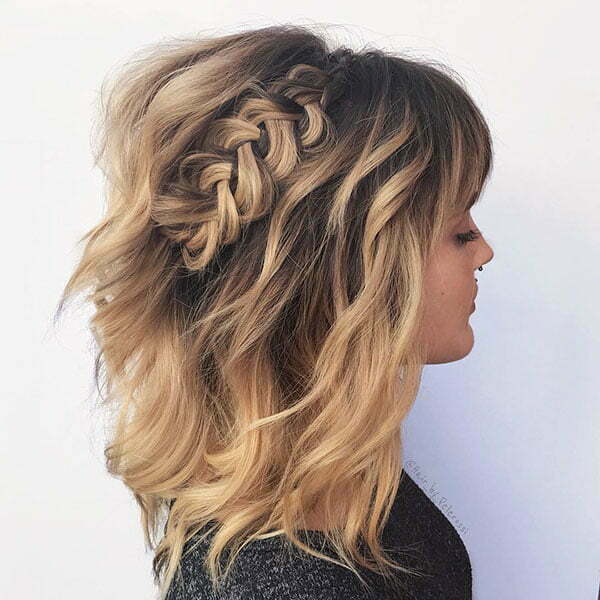 Just curl your hair and give it a beachy wave. 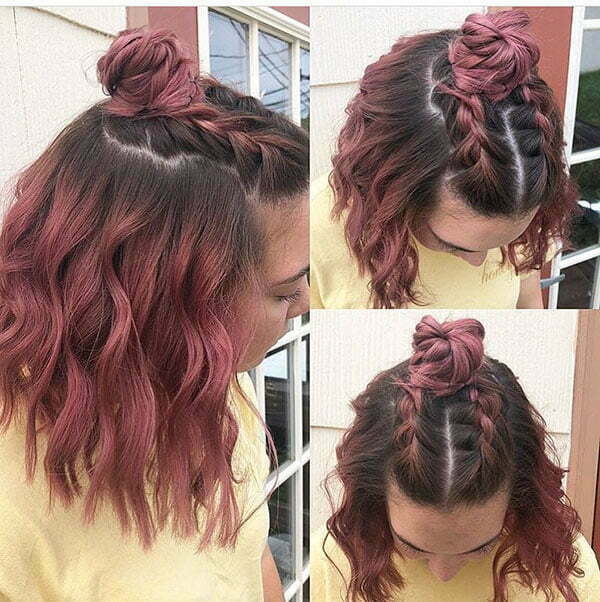 Then braid two parts from the front, pull them back and pin. 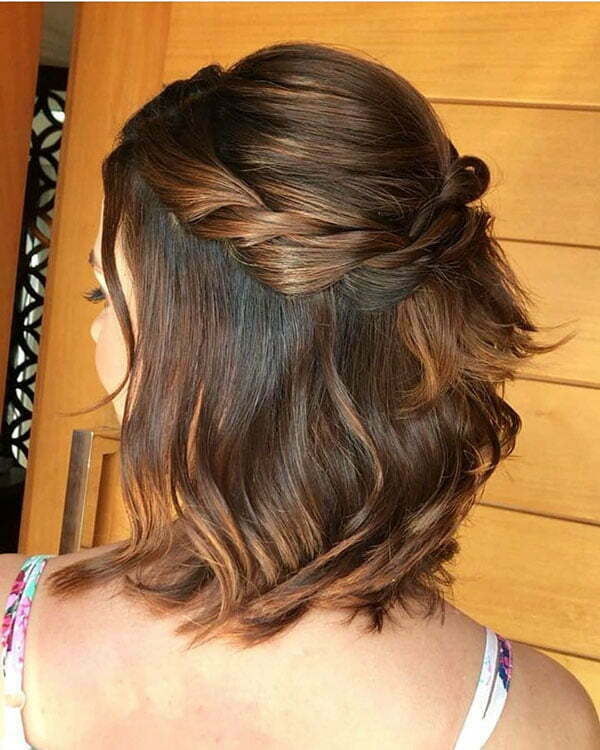 The result will be so elegant and amazing that you will try this style all the time. 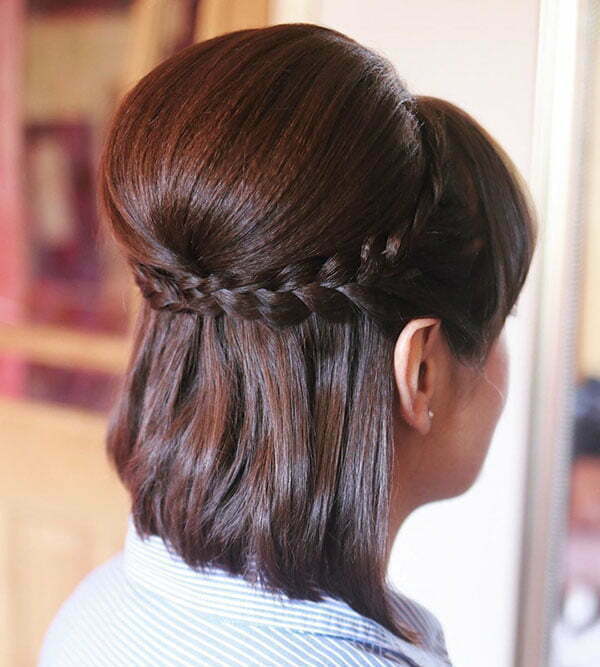 If you are looking for a romantic hairstyle then we offer you to try waterfall braids. 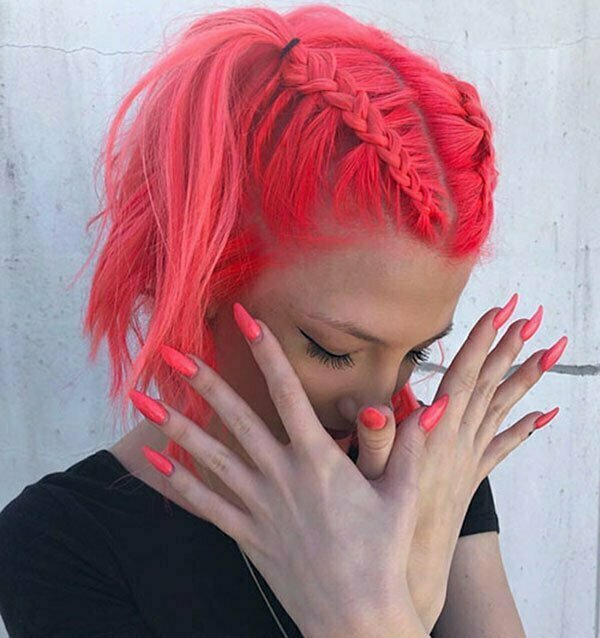 They have been a huge hit for many years and continue to thrive nowadays. 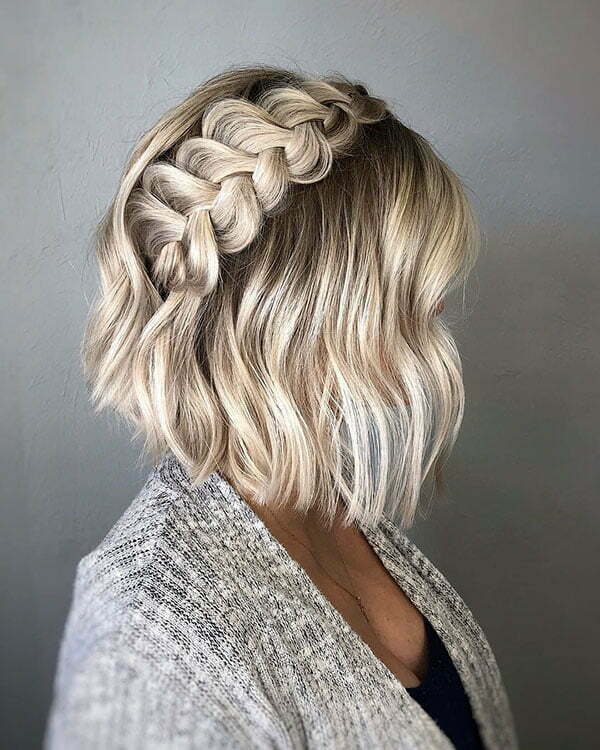 this style is really pretty and effortless. 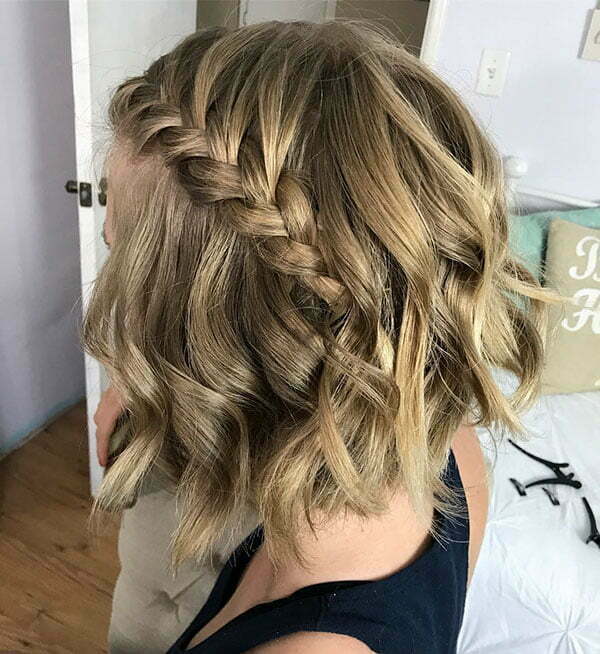 We also offer a more classic option for those girls who want to have a classic look and go to some classic events or meetings. 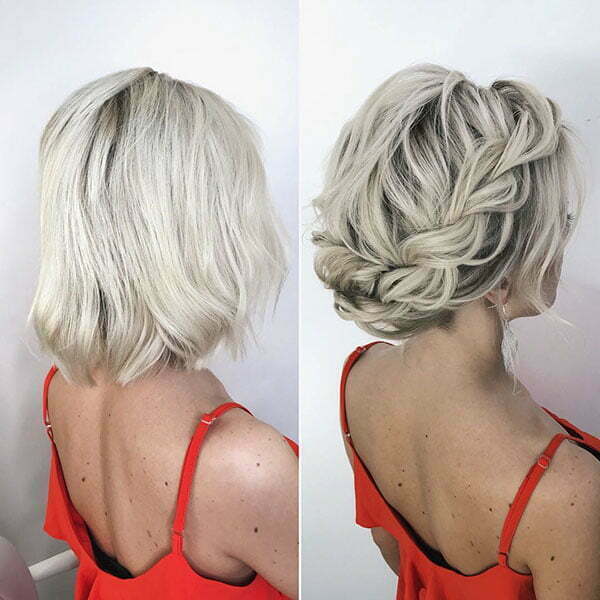 Braided updo with volume is the best option for girls who have short hair. 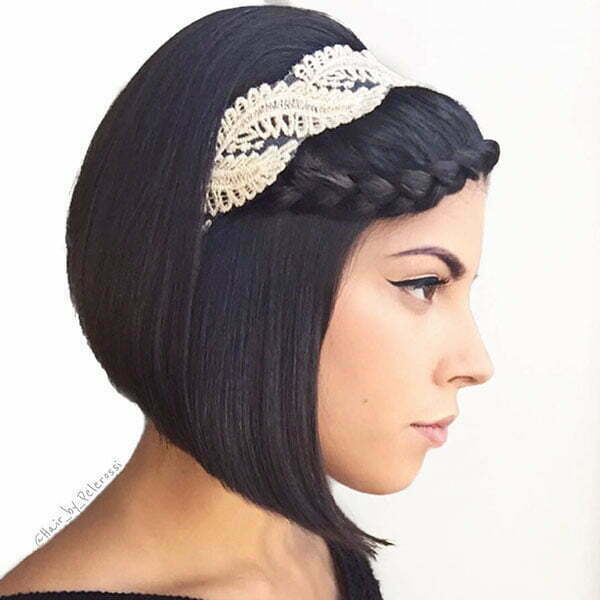 This is a little bit retro option but very cute and functional. 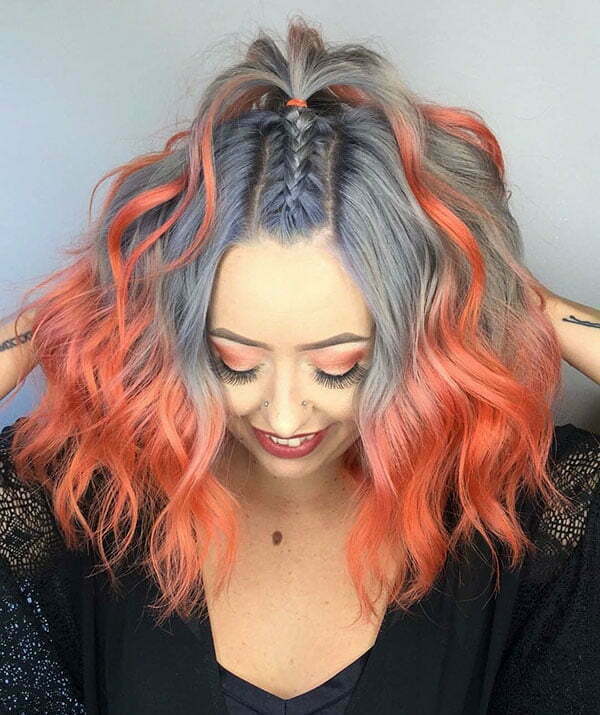 Just pump up the volume using texture spray and you are good to go. 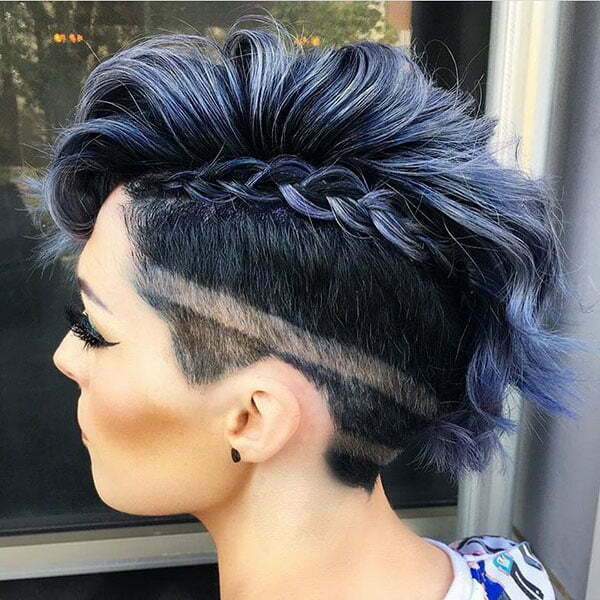 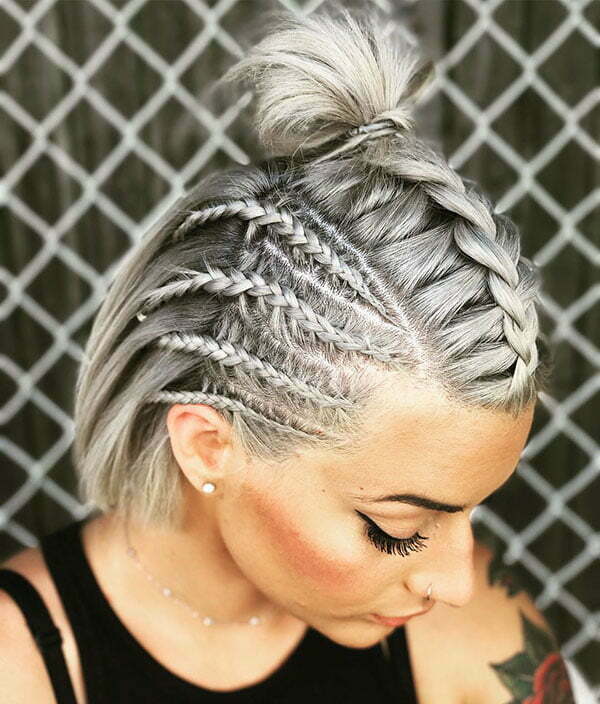 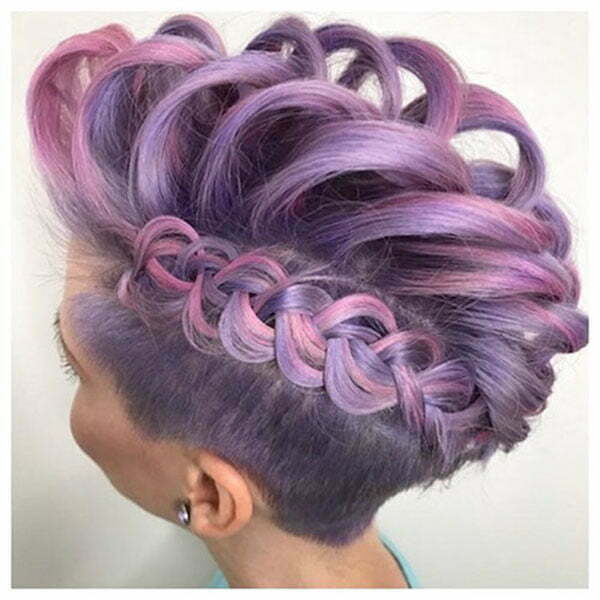 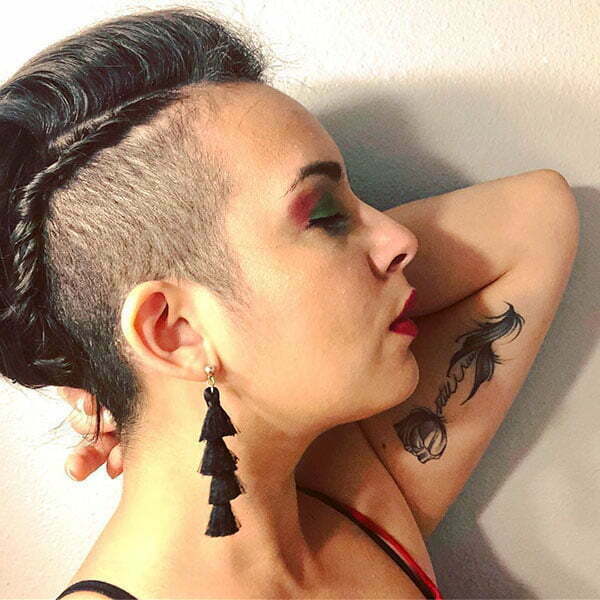 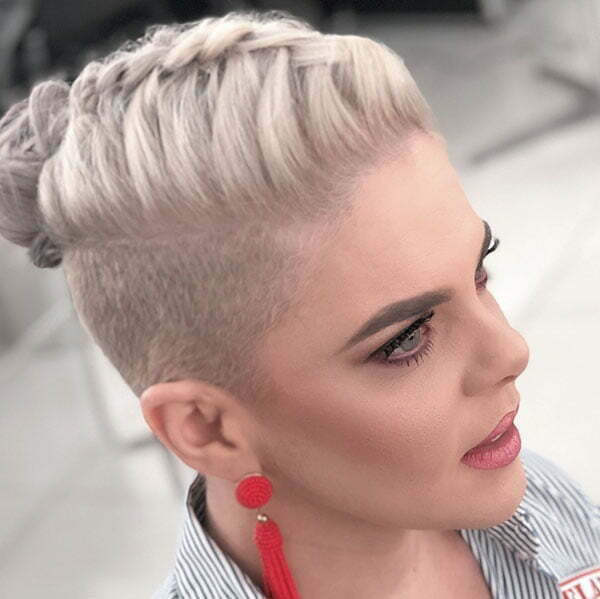 Braids look stunning with shaved sides as well. 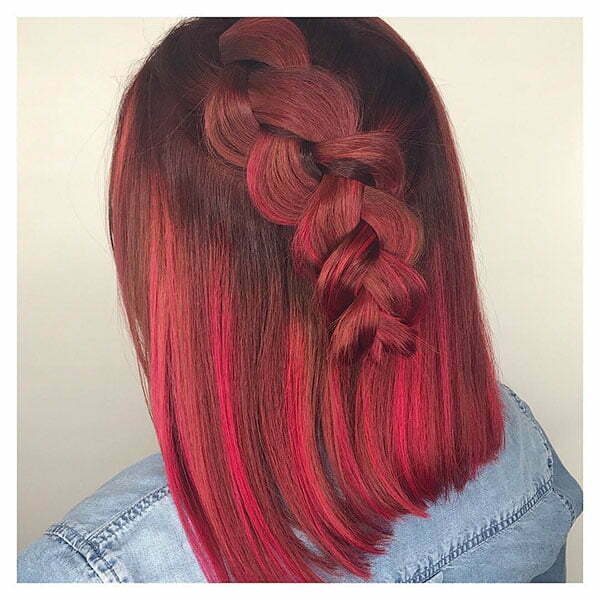 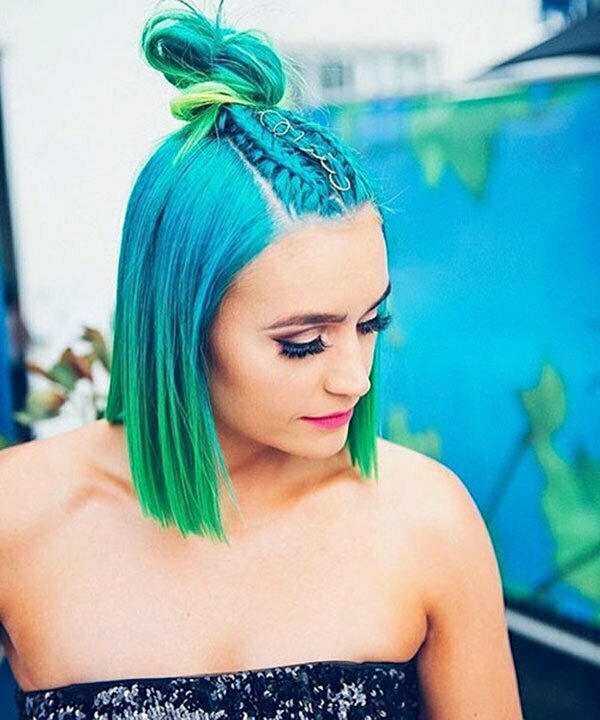 If you like that kind of bold looks and you really want to stand out from the crowd then try this style and reach your goal. 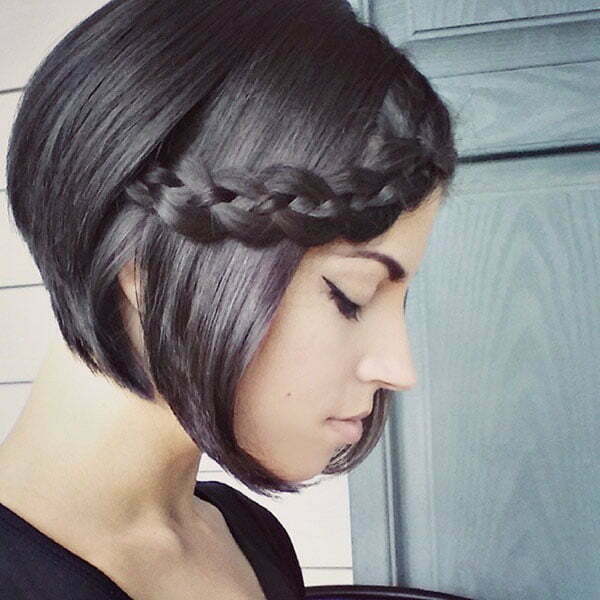 As you see we have a lot of braided hairstyle ideas designed for your short hair. 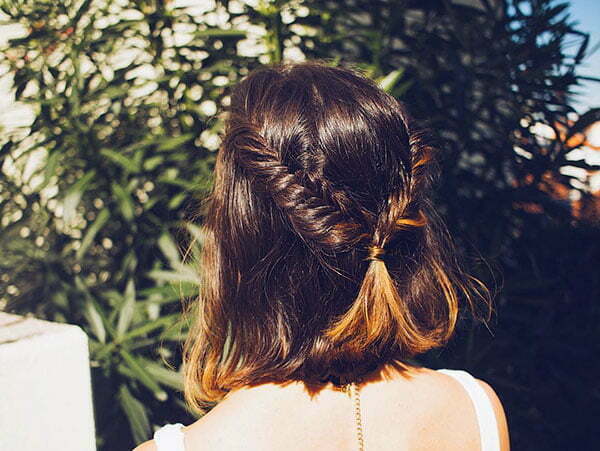 In general, braids always look great no matter the length of your hair. 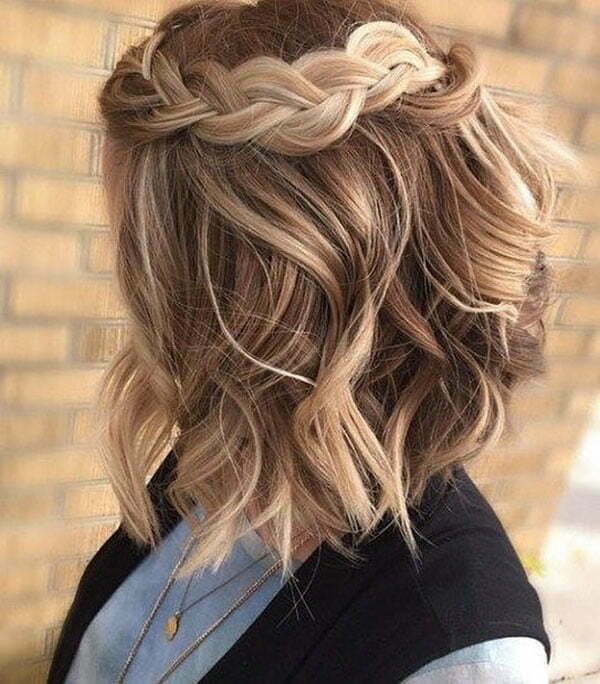 So even if your hair is short then you will have a stunning braided look. 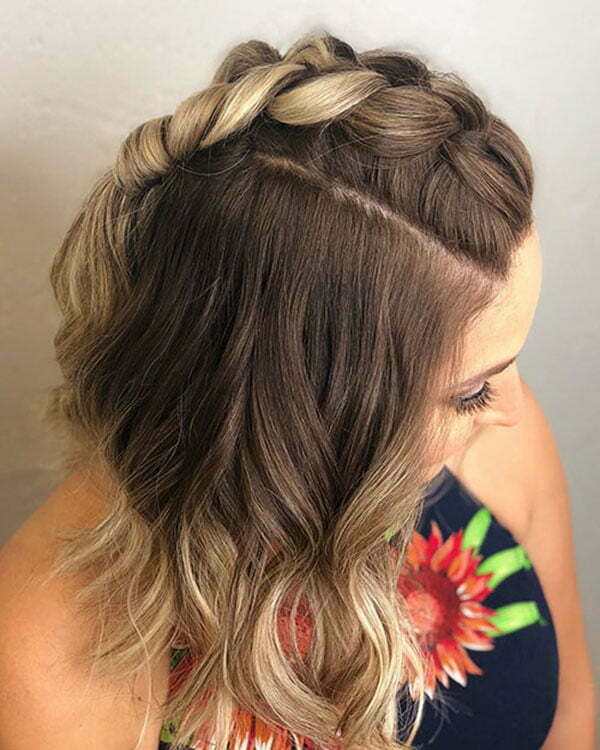 There are a number of different ways you can have a braid style. 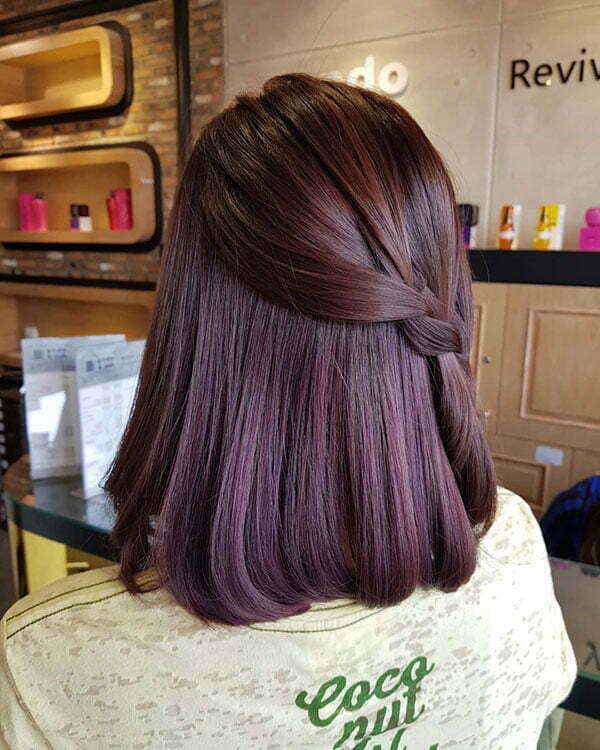 Below, we have various ideas, so you can surely find your favorite style and try it in the near future. 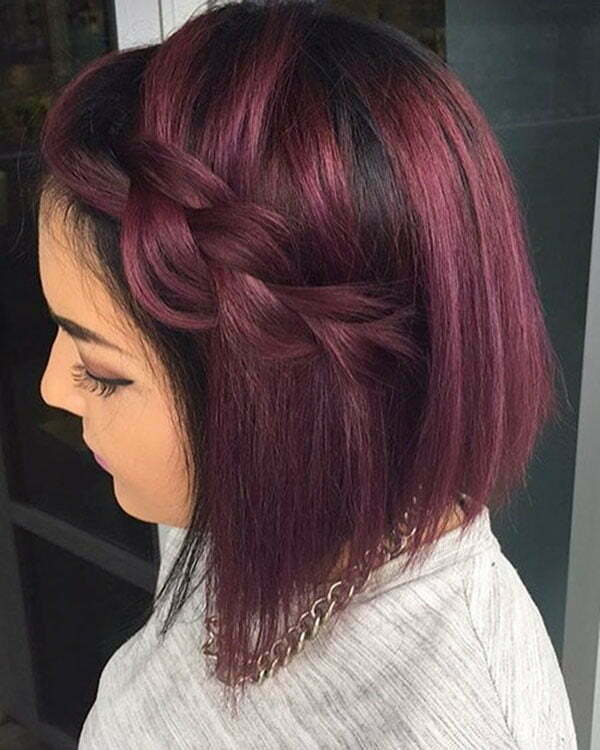 Check the photos now and try the look you will love.